The Platinum Group has extensive experience in design and manufacturing of close tolerance compression molds for the automotive and non-automotive industries. 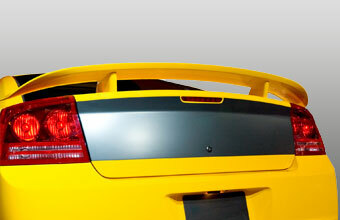 Our designers, engineers, and mold makers have decades of experience in manufacturing molds for large complex high strength parts as well as smaller more intricate parts for the automotive, consumer products, and electronics industries. The compression molding process is frequently chosen for high-volume composite parts that are produced with BMC and SMC materials. 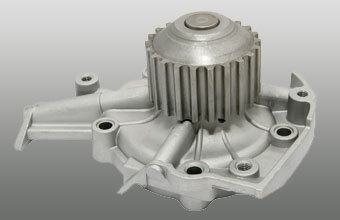 This closed mold process creates high strength complex parts of various sizes. 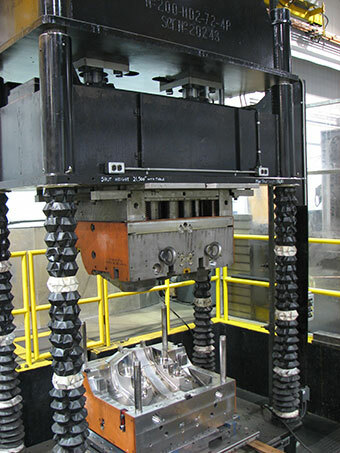 Once the matching metal dies are mounted into a hydraulic molding press and heated, the material charge is placed into the mold, the two haves are closed, and up to 2,000 psi of pressure is applied, depending on the material type and part thickness. Platinum manufacturers molds for small intricate parts or parts over 5 feet in length, with thicknesses as thin as 0.050 inches. 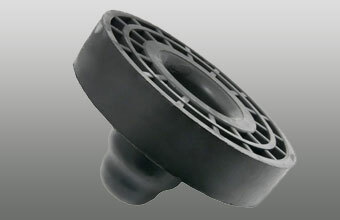 Our molds can are used in both thermoset and thermoplastic composites. 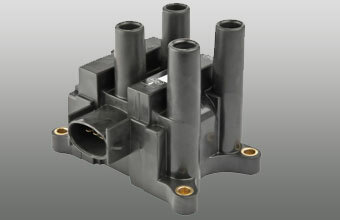 Please contact us for more information on your compression mold design and manufactoring project.